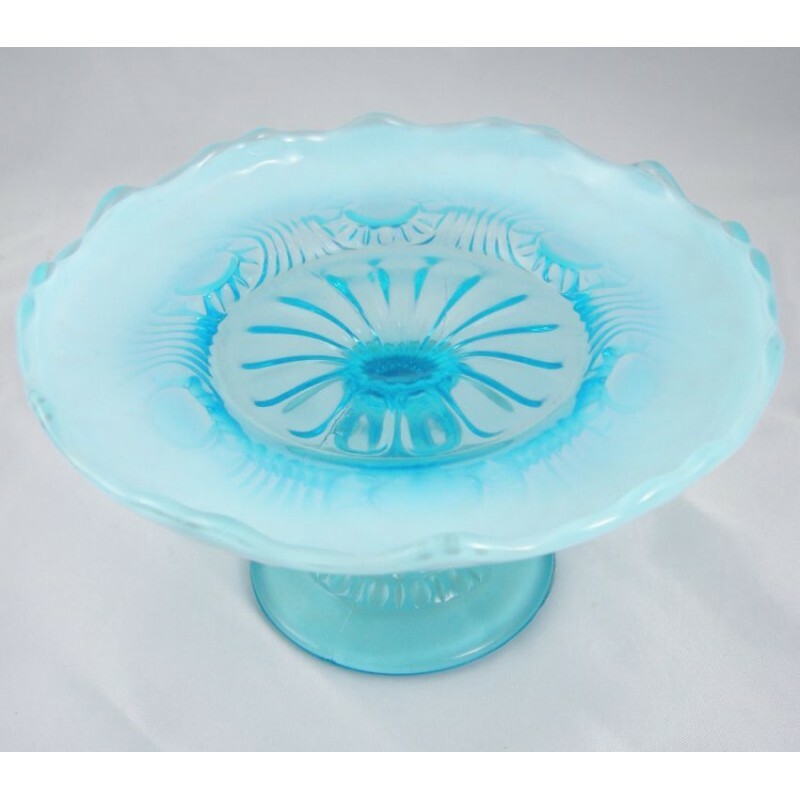 A beautiful blue opalescent footed salver in the Tokyo pattern by Jefferson Glass, a gorgeous antique piece of glass that I have seen referred to as a card receiver, compote, tidbit tray, and even a donut plate. 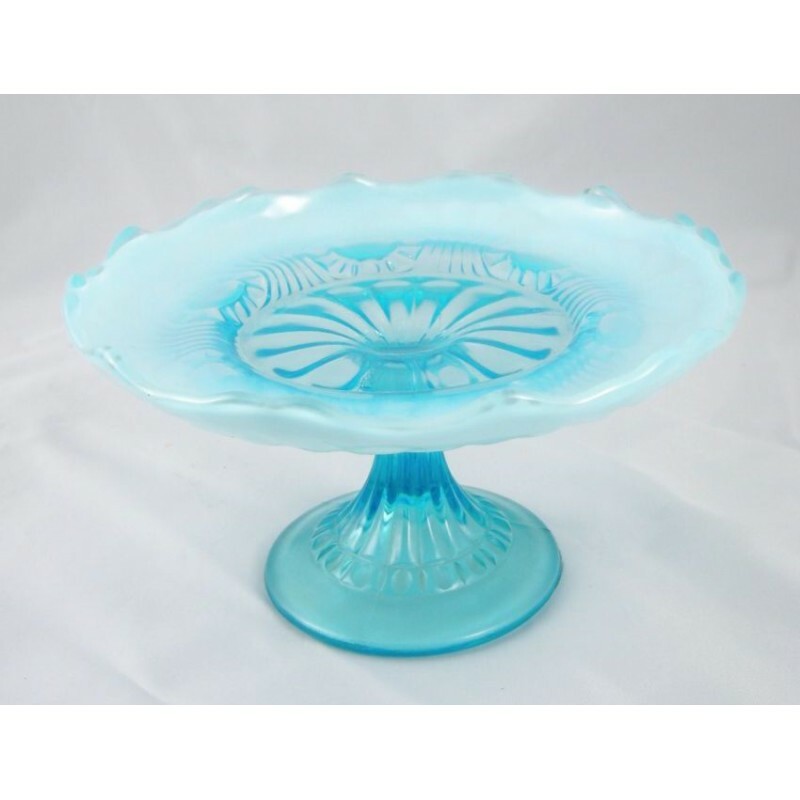 However, an old advertisement for Jefferson's "Best" and ever-popular opalescent assortment lists this treasure as a 6-5/8" high footed salver. The Tokyo pattern is one that causes a bit of confusion for some, given one book's vague reference to potential reproductions. 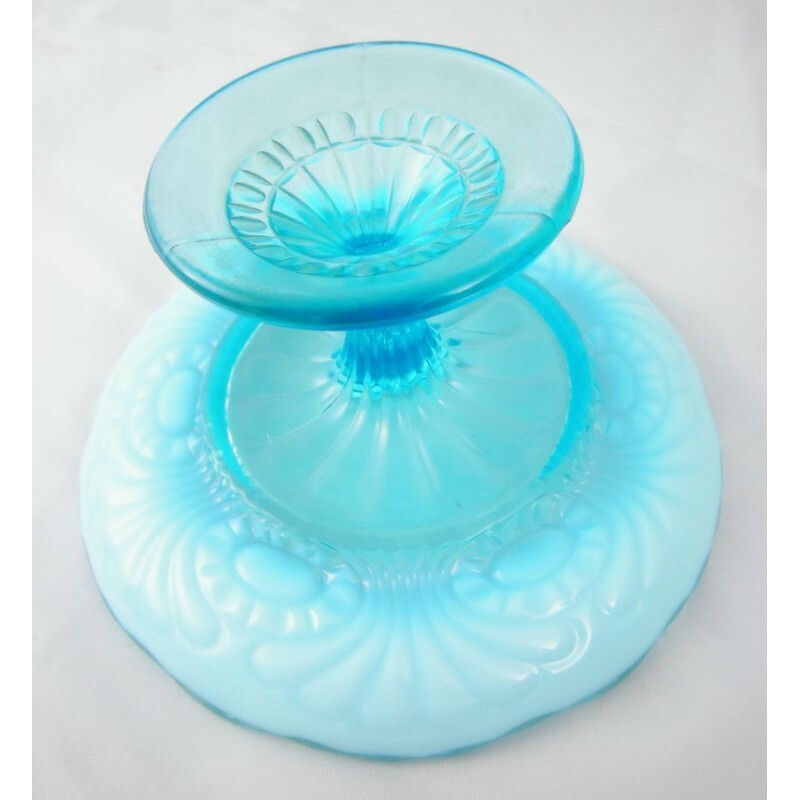 Another collector book helps to clarify that issue, going on to confirm that one piece and only one piece – the jelly compote – was manufactured by Fenton in the mid/late 1970s, under the pattern name Scroll and Eye, at a time when Fenton was already marking its wares. 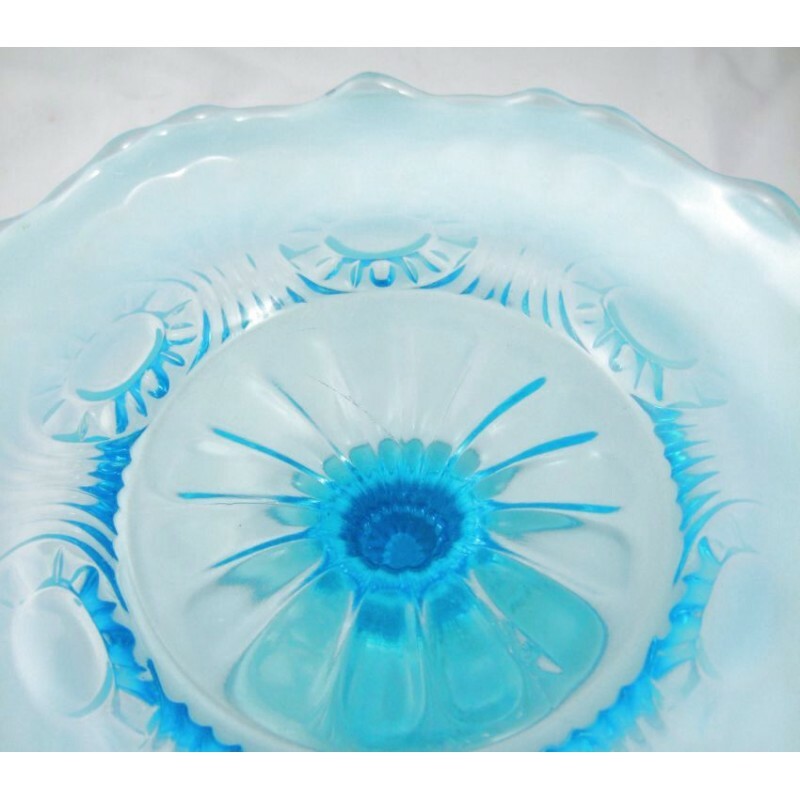 In short, you can rest assured that this one's an original from Jefferson Glass. 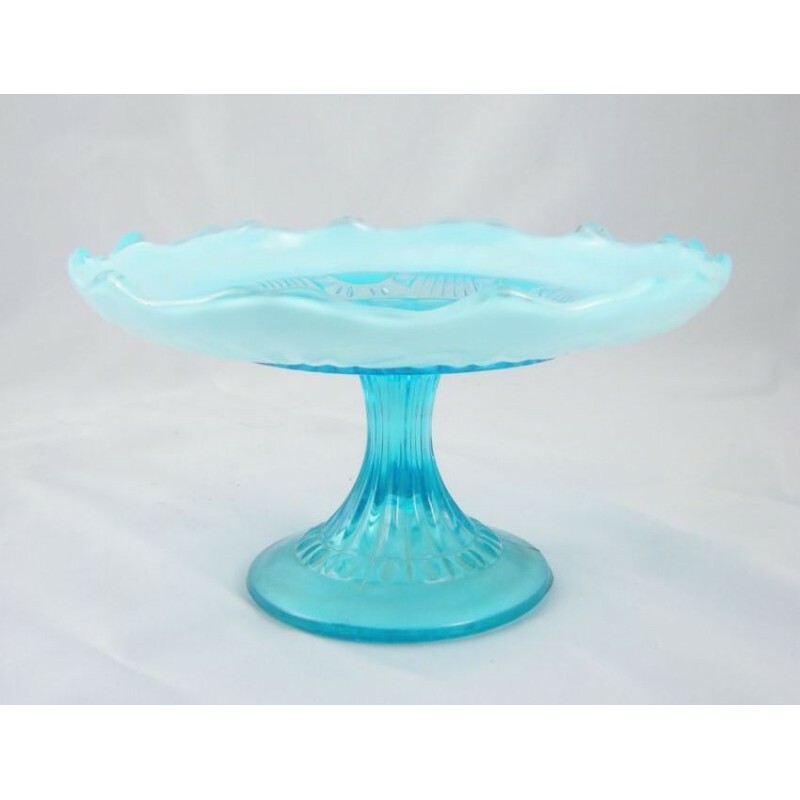 Measuring 6-5/8" in diameter and 4" high, this footed salver tray is a real winner dating to the early 1900s (c 1905), with a deliciously blue center and a thick creamy opalescence around the edge of the rim. In excellent condition, with one cooling mark on the center platform but no nicks, chips, or cracks.